Brussels sprouts are a classic low-carb vegetable and a good source of vitamin C and fiber. 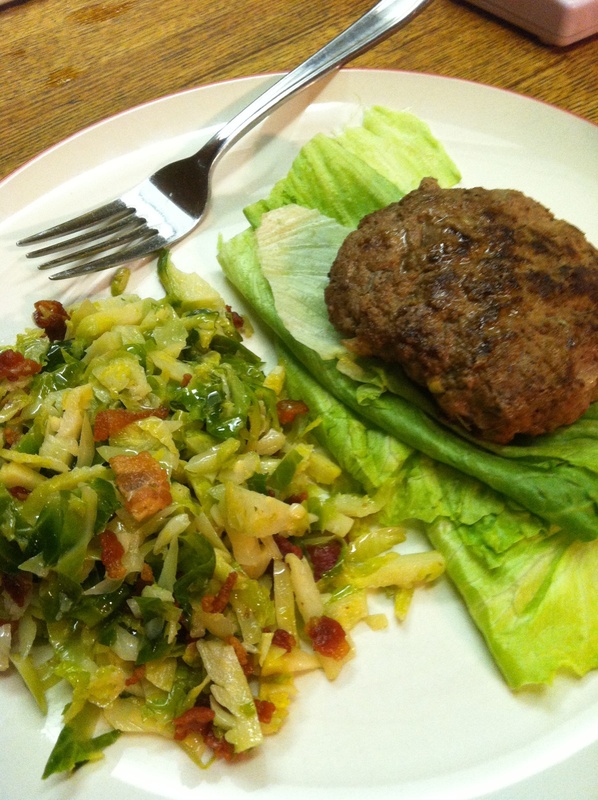 A while back I posted a meal recipe for Bacon Brussels Sprouts to accompany Brian Burgers. To make it a little more convenient, I’ve substituted off-the-shelf real bacon bits instead of frying my own bacon. I traded olive oil for the bacon grease. The two versions taste very similar. 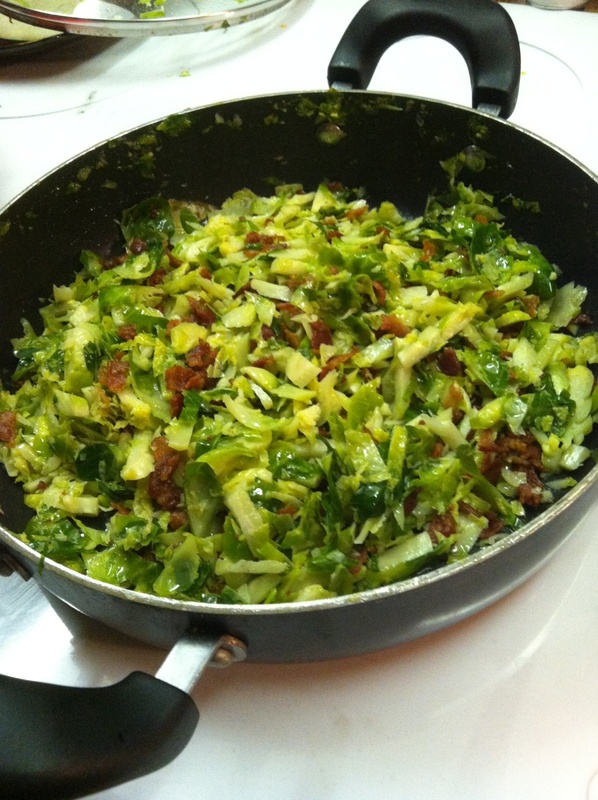 You can easily fit Bacon Brussels Sprouts into either the Low-Carb Mediterranean Diet or Ketogenic Mediterranean Diet. You’ll be steaming this in a pan with a lid. Put the garlic and olive oil in a pan and cook over medium-high heat for a few minutes to release the flavor of the garlic. Add the water to the pan and let it warm up for a half a minute or so on medium-high heat. 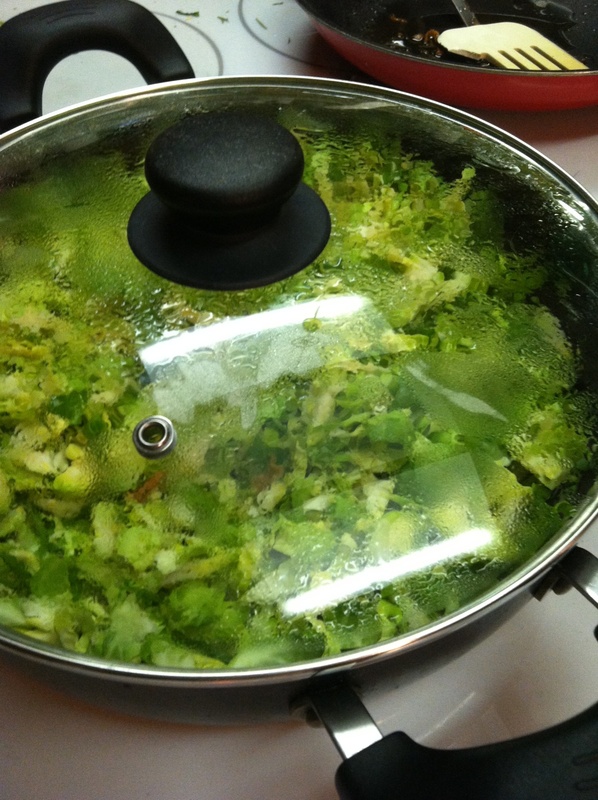 Then add the shredded sprouts and cover with the lid. After a minute on this medium-high heat, turn it down to medium. The sprouts will have to cook for only 4–6 minutes. Every minute, shake the pan to keep contents from sticking. You might need to remove the lid and stir with a spoon once, but that lets ourtyour steam and may prolong cooking time. The sprouts are soft when done. Then remove from heat, add the bacon bits, salt, and pepper, then mix thoroughly. When time allows, I’d like to experiment with this by leaving out the bacon and using various spices instead. 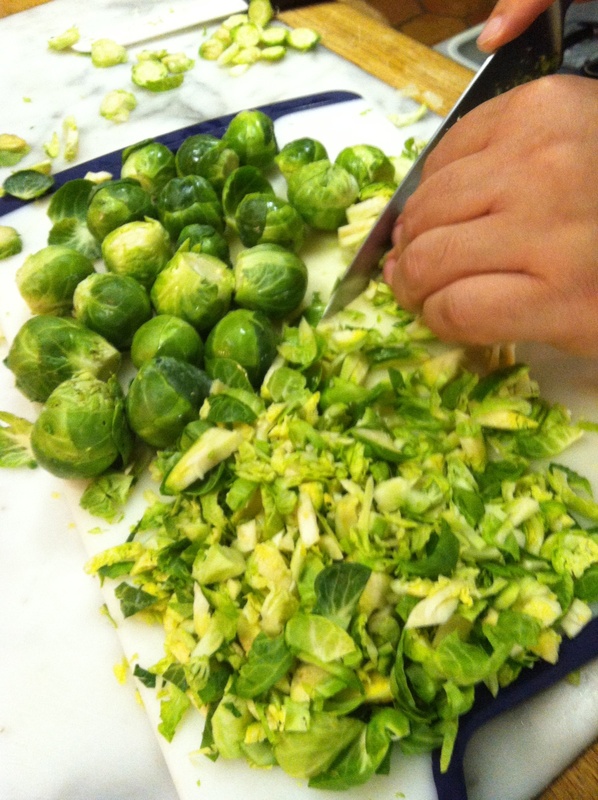 Do you know what goes well with Brussels sprouts?